Children’s commissioner Anne Longfield on nurses’ role in ensuring migrant children from the Calais camp have a healthy start in the UK. 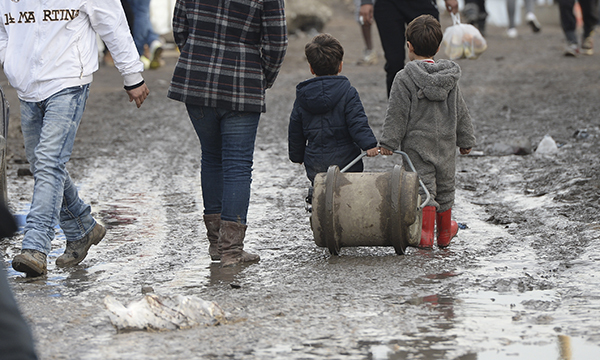 Unaccompanied children eligible to come to the UK from the Calais refugee camp to join their families under the European Union Dublin III agreement have been leaving the so-called Jungle ahead of its planned closure. As they arrive in the UK and begin to recover from their ordeal, one vital thing they will need – as well as safety and a place at school – is healthcare. Health professionals’ support will be essential in helping child refugees rebuild their lives. Often these children have fled war-torn countries with nothing. They have endured long and often dangerous journeys across Europe, unsanitary conditions in camps and may have been exploited by traffickers. They are often deeply traumatised. A full assessment of their health needs, both physical and mental, is vital. Information about family medical history, surgery, illnesses requiring treatment, jaundice and fevers, as well as previous injuries, may be unavailable and will need to be pieced together through conversations. There are almost certainly going to be some health issues that need urgent attention. Living in make-shift and cramped accommodation, or spending hours concealed in the boot of a car while on the move, could have led to back or posture problems. The densely populated areas they have been living in mean conditions such as scabies or lice may be present. There may also be development and growth impairment as a result of poor nutrition. Children may have come into close contact with diseases and infections, such as TB in their own country or while on the move, so screening may be needed to rule these out. Sleeping difficulties are common in these children. This is understandable given the horrendous experiences many have had including traumas such as bereavement, being trafficked or seeing bloodshed and the horror of conflict zones. Colleagues at the Refugee Council say children often have to be taught how to sleep again as they are so unused to normal routines and do not have a sense of safety. Children who have lived in the camp are also likely to be at greater risk of a range of mental health problems, including post-traumatic stress disorder (PTSD). Younger children may have few recollections of a time before war or displacement. But for many children, despite what they have been through, problems will develop slowly. Some will remember very little about their journeys, what they have seen or what has been done to them. The consequences of their trauma may emerge gradually after the immediate danger has passed. Some children will have blocked out memories that are painful. For some children, only when they get to a place of real safety will they start to process their experiences and then mental health issues will emerge. Seeming to cope may mask difficulties they are experiencing. Meeting the health needs of child refugees means treating them all as individuals, with their own experiences, backgrounds and challenges. Health professionals working as closely as possible with local authorities, voluntary organisations and others to provide tailored plans will give children the best help to move forward with their lives. Why is murder fascinating and why does it matter to mental health professionals?